More importantly we joined the others for lunch to discuss final details for the oral presentations. We had about 10 mins in all for UK, and presentations were to be given by England, Scotland and N Ireland, Wales was not able to come. 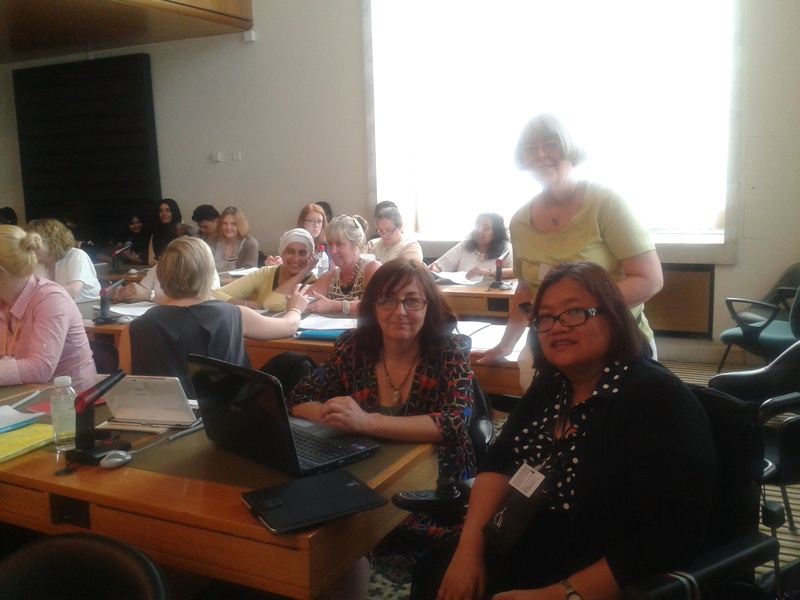 We were also given information about who was in the CEDAW panel and what they had interests in. There was only one woman who had disability specifically in her profile – from Qatar. The other countries giving oral presentations were Cape Verde, Bosnia Herzogovenia and Serbia. The room where we were to have our oral examinations was not really accessible, the furniture was fixed with not much room for manoeuvre for wheelchair users – there was another from Bosnia Herzegovina. There were ear pieces for interpretations and to hear better but I did not have access to one. So my report of what is being said will have to be verified and in more detail later. I am struck by the fact that all the countries mentioned disabled women and Cape Verde’s presentation was mostly on the status of disabled women, a disabled woman was one of the speakers for Bosnia Herzegovina. We had so much we wanted to say in so little time. I will not do justice to our presentations – I m writing in the dark and really tired, the day has been a bit overwhelming. There s a lunch time briefing to prepare for tomorrow.